FRANKFURT (Reuters) – The billionaire founder of United Internet has urged internet providers to found a joint company to build out Germany’s high-speed broadband network, challenging market leader Deutsche Telekom to back the venture. Ralph Dommermuth said industry should take the lead on laying the glass fiber network in Germany, where just 2.5 percent of households are directly hooked up to such ultra-fast connections – less than in other developed nations. “Each telecommunications company that wants to participate in this alliance would contribute capital according to its market share,” Dommermuth said in the interview, released ahead of publication on Sunday. 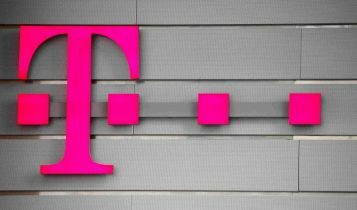 Deutsche Telekom’s participation would be “decisive” in the venture. “If it takes part, we will definitely get involved,” he said. United Internet would be willing to contribute 1.4 billion euros – in line with its 14 percent market share – or more. The combined investment would be enough to provide fiber to 70 percent of households in Germany, he estimated. It was not clear whether Dommermuth, a self-made businessman with a fortune estimated by Forbes magazine at $6.4 billion, had approached Deutsche Telekom before going public with his proposal. Deutsche Telekom CEO Tim Hoettges has come under fire for defending its continued reliance on so-called ‘vectoring’, which uses the old copper telephone network to reach households and has limited potential to be upgraded. Hoettges has hit back by saying that Deutsche Telekom is investing far more than all of its rivals put together, having spent 5.4 billion euros on broadband in Germany last year. United Internet, which operates under the 1&1 brand, rents out capacity from Deutsche Telekom, among others, to provide digital subscriber lines to homes and businesses. Hoettges is concerned that, if the regulator stipulates that access to glass-fiber networks should be open, Telekom’s competitors will end up profiting unfairly from its investments. Deutsche Telekom did not immediately respond to an emailed request for comment on Dommermuth’s proposal.